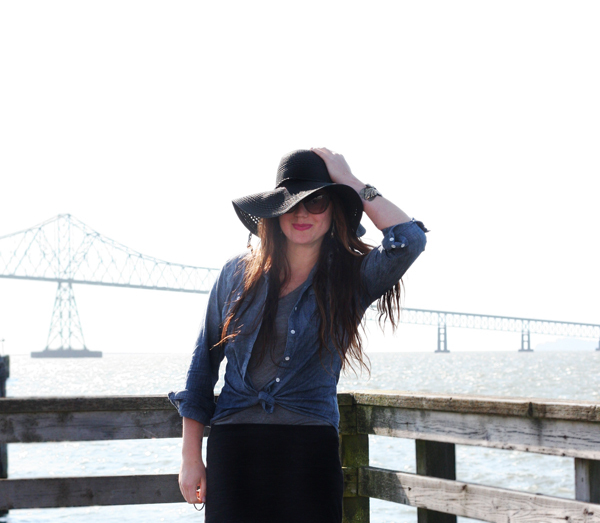 Pair a chambray shirt with any type of maxi skirt or maxi dress and tie at waist over a tank or tee. 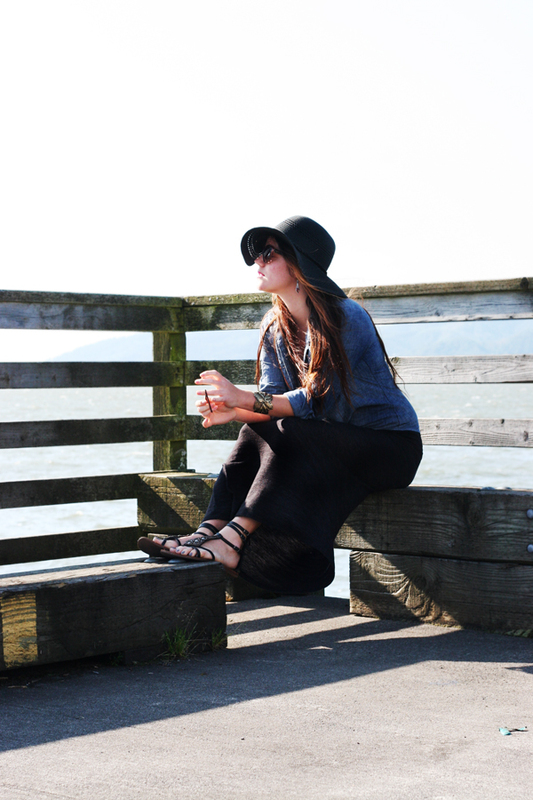 Throw on some gladiators and a big floppy hat and you're set!! Effortlessly chic. 4th of July | Outfit Post.